INGREDIENTS: Glucose syrup DP4 ▲ (73%) – Water – fructose syrup (2%) – maltodextrin (1%) -Trehhalo ** (1%) – isomaltulose ** (1%) – Acid: citric acid – flavorings – preservative : potassium sorbate – nicotinamide-thiamine hydrochloride – vitamin B6 (pyridoxine hydrochloride, emulsifier: mono- and diglycerides of fatty acids). Based on polymers of 4 glucose units. ** Trehhaloose is a source of glucose – Isomaltulose is a source of glucose and fructose. 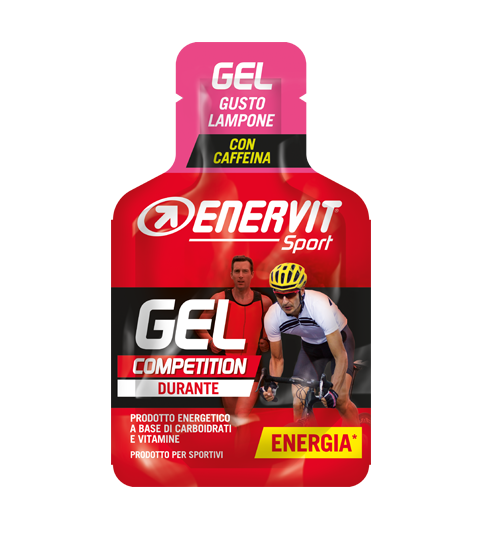 HOW TO USE: Consume 1 energy gel every 30 minutes to supply the body with extra energy. The body needs an average of 40-60mg of carbohydrates per hour so that blood sugar does not fall below the normal range. 4 energy gels are a source of thiamine (Vitamin B1) that contributes to normal energy exchange. Use a maximum of 4 energy gels per hour. 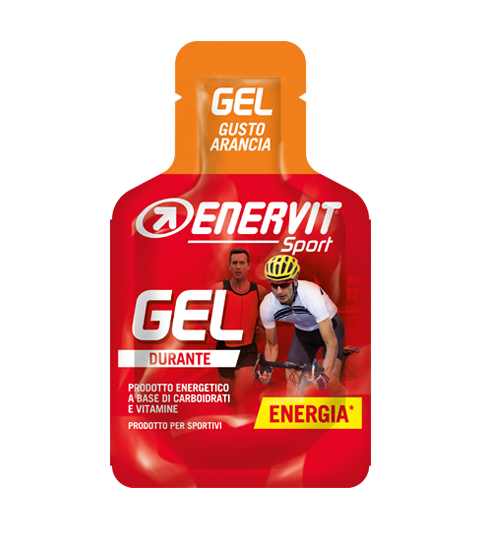 HOW TO USE: Consume 1 energy gel every 30 minutes to supply the body with extra energy. The body needs an average of 40-60mg of carbohydrates per hour. 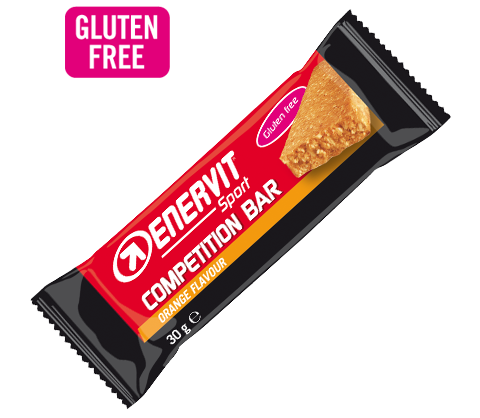 4 energy gels are a source of thiamine (Vitamin B1). Use a maximum of 4 energy gels per hour. 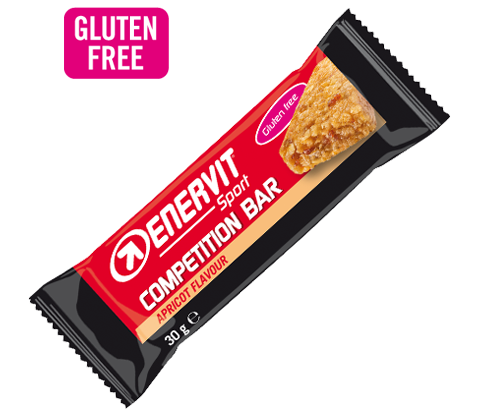 INGREDIENTS: Glucose and fructose syrup (38.6%) – Rice flakes (rice flour, corn semolina, sugar, salt) (21.3%) – Oatmeal (gluten-free) (15.8%) – Raisins (9.6%) – Maltodextrin – isomaltulose * (5,6%) – cocoa butter – flavoring – emulsifier: sunflower lecithin – color: plain caramel – acid: citric acid. * Isomaltulose is a source of glucose and fructose. May contain milk, nuts, peanuts, soybeans, sesame seeds. INGREDIENTS: Glucose and fructose syrup (38,8%) – Rice flakes (rice flour, corn semolina, sugar, salt) (21,5%) – Oat flakes (gluten-free) (16%) – Isomaltulose*(5.6%) – Maltodextrin – Raisins (5%) – Apricots (apricots, rice flour) (4,7%) – Cocoa butter – Flavouring – Emulsifier: sunflower lecithin – Acid: citric acid – Colour: plain caramel. *Isomaltulose is a source of glucose and fructose. May contain milk, nuts, peanuts, soybeans, sesame seeds. Powder is an orange-flavored sports drink that balances the body of minerals, carbohydrates, vitamins and fluids in the body. Carbohydrates and electrolytes help to maintain endurance and increase water absorption performance. The product should be used as part of a diverse and balanced diet and a healthy lifestyle. 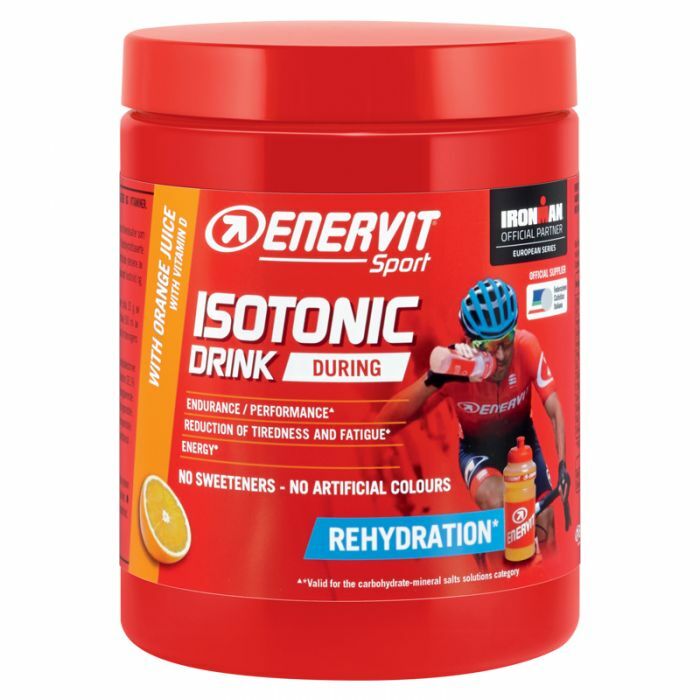 HOW TO USE: Consume 300-500ml of sports drink before exercise to supply the body with energy, vitamins and fluids. While exercising, consume 400-600ml of sports drink in an hour. Maintain the same ratio in case of prolonged effort. INGREDIENTS: Sucrose (37.7%) – Dextrose (24.5%) – Fructose (12%) – Mixture of maltodextrins (maltodextrin DE2, maltodextrin DE6, maltodextrin DE19) with different polymerisation grades (6%) – sodium gluconate – acid: citric acid – odor and spices – rice starch (3%) – concentrated orange juice powder (1%) – potassium gluconate – sodium chloride – thickener: sodium carboxymethylcellulose – dibasic magnesium citrate – anti-caking agent: silica – color: paprika extract, carotenes – L-ascorbic acid – nicotinamide – calcium D- pantothenate – riboflavin – thiamine hydrochloride – cholecalciferol. May contain milk, soybeans, eggs.